China, while defending the terrorist, argued that the issue lacks "consensus" among the members of the UN Security Council as well as the "directly concerned" parties - India and Pakistan. 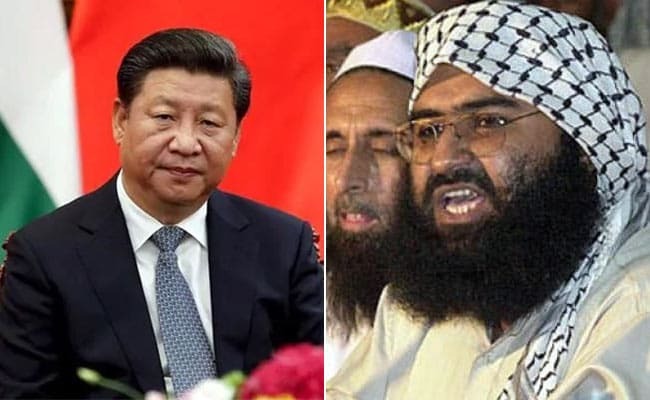 China's Foreign Minister Wang Yi says the issue lacks "consensus"
Chinese Foreign Minister Wang Yi has defended Beijing's repeated blockage of India's bids at the United Nations to list Masood Azhar, chief of Pakistan-based terror group Jaish-e-Mohammed (JeM) as a global terrorist. China, being a veto-wielding permanent member of the UN Security Council, has repeatedly blocked India's move. The US, Britain and France all back India to designate Masood Azhar a terrorist under the Al-Qaeda Sanctions Committee of the UN Security Council. The Jaish-e-Mohammed, founded by Masood Azhar, has already been in the UN's list of banned terror outfits. China, in its statement, said that since Pakistan didn't agree with India on this issue, there is no "consensus" between the two directly affected parties. Beijing made it clear that China will support the issue only if Pakistan agrees with India. "If all parties come to a consensus, we will support it. But it is the parties that are rightly concerned who are not coming around to the same conclusion, like India and Pakistan don't have the same conclusions," Mr Wang said on Friday in response to a question. He said if the parties "directly concerned" are able to come to a consensus, then "together we will be able to push the process forward". "We think that is a better way to go, and we will stay in close touch with India on this issue because we also have very good ties with the Indian side. We hope to see an early consensus, and together we can contribute to the fight against terror," the foreign minister said. China and Pakistan are considered all-weather allies. Mr Wang, who is currently in New York to attend the 73rd annual session of the United Nations General Assembly, argued that listing of terrorists should be based on proof and claimed that there is not enough evidence against Masood Azhar. "Whether these people are terrorists or not, there should be solid facts and proof. If there is irrefutable evidence, no one can turn its back on it. I don't think Pakistan will do that," he asserted.